In an unexpected move, the Eleventh Circuit Court of Appeals has sanctioned a form of age discrimination. Richard Villarreal applied for a position with R.J. Reynolds as a territory manager. The company sought a candidate “2-3 years out of college” who “adjusts easily to changes.” R.J. Reynolds wanted to avoid applicants “in sales for 8-10 years.” Mr. Villarreal is over 40 years of age. While these hiring guidelines do not expressly exclude older workers, the impact of the guidelines will be to exclude older workers. 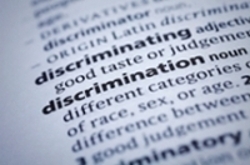 The Age Discrimination in Employment Act (“ADEA”) prohibits intentional age discrimination both in hiring job applicants and in firing employees. A separate provision of the ADEA precludes employer policies that have the effect of discriminating against employees based on their age. It states that it is “unlawful for an employer…to limit, segregate, or classify his employees in any way which would deprive or tend to deprive any individual of employment opportunities or otherwise adversely affect his status as an employee, because of such individual’s age.” Because this provision does not specifically include “job applicants” in its protection, the 11th Circuit has ruled that it does not apply to job applicants. This decision contravenes earlier 11th Circuit and other Circuit court decisions. Those other decisions have held that job applicants are in fact protected from disparate impact age discrimination.